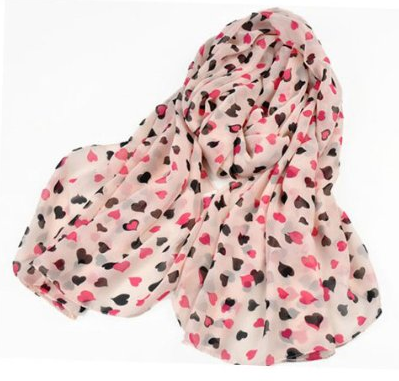 Pink Love Heart Dots Chiffon Scarf Just $4.69 Plus FREE Shipping! You are here: Home / Great Deals / Amazon Deals / Pink Love Heart Dots Chiffon Scarf Just $4.69 Plus FREE Shipping! Pink Love Heart Dots Chiffon Scarf $4.69 Plus FREE Shipping! would be perfect for a casual family day to a quick trip to the store. Thanks to Smart Couponing for sharing!